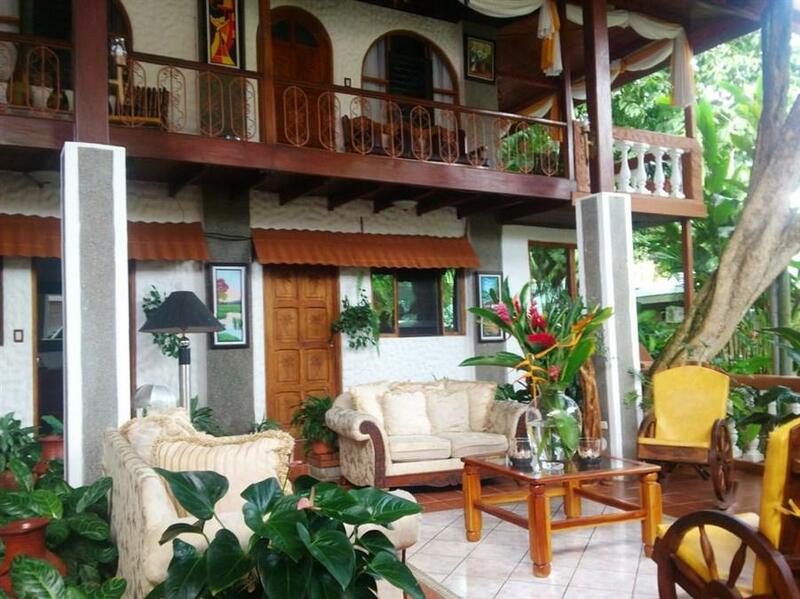 ﻿ Best Price on Hotel Villabosque in Quepos + Reviews! Located on the edge of Manuel Antonio National Park , Hotel Villabosque has an outdoor pool and rainforest views. Each air-conditioned room offers free Wi-Fi. Hotel Villabosque is a charming, traditional-style building with a central courtyard and terraces. Its functional rooms feature flat-screen cable TV, a safe and a private bathroom. The Villabosque’s bar-restaurant serves international cuisine. Other dining options can be found within a 2-minute walk. Hotel Villabosque is only 656 feet from Manuel Antonio Beach. Quepos town is a 10-minute drive away, while Juan Santamaria Airport is around 2.5 hours’ drive away.